This is a cruise line private island experience we haven't seen before. Our Caribbean cruise on Regent Seven Seas Cruises included a day at Harvest Caye, and it turned out to be one of the most memorable days of our cruise. And when you watch the video you'll see why. Harvest Caye is an island a mile offshore mainland Belize. 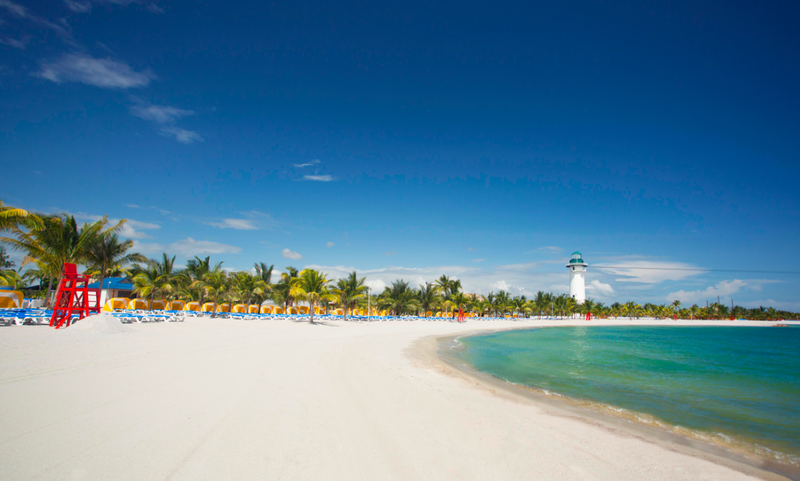 Like other cruise line private islands, Harvest Caye was developed as a beach port of call in the Caribbean for its guests by parent company Norwegian for its Regent Seven Seas Cruises, Norwegian Cruise Line, and Oceania guests. It's a spectacular, resort-style experience. There's a 7-acre pristine beach. 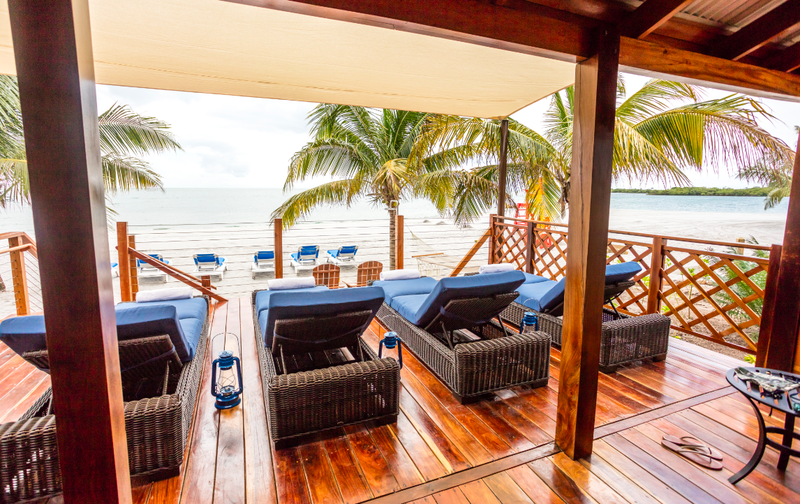 You can relax in clamshell tents or even better, in one of the luxury beach villas with porches over the water, hammocks, dining and beverage options and dedicated concierge service. Or head to the pool. This extravagant 15,000 square foot oasis has a swim-up bar and tables in the water, elegant lounges and canopy pool cabanas with beverage service. A 130 foot tall 'Flighthouse' looks a lot like a lighthouse, but gets its name as the island's point of departure for adventure: an over water zipline or ropes course. There are also eco/ water sports like kayaking, paddle boarding, and canoeing in the lagoon alongside the wildlife. The Shopping Village, with its outdoor art festival, local musicians and dancers, high-quality local retailers of locally made chocolates, spirits and artwork including local woodwork, features street-style Belizean cuisine for that truly authentic local flavor. The development preserves and improves the local eco system, uses indigenous, responsible hardwoods in the buildings, and is creating 500 direct and 1500 indirect jobs for the local economy. All those things you might expect from a well-planned cruise line private island that also wants to support and authentically reflect its host community, Belize. But Harvest Caye takes that responsible approach one step further with a Wildlife and Conservation program. The development of Harvest Caye has boosted local environmental conservation. More than 15,000 new mangroves have been planted to increase the natural estuary habitat for birds, fish and other marine species. 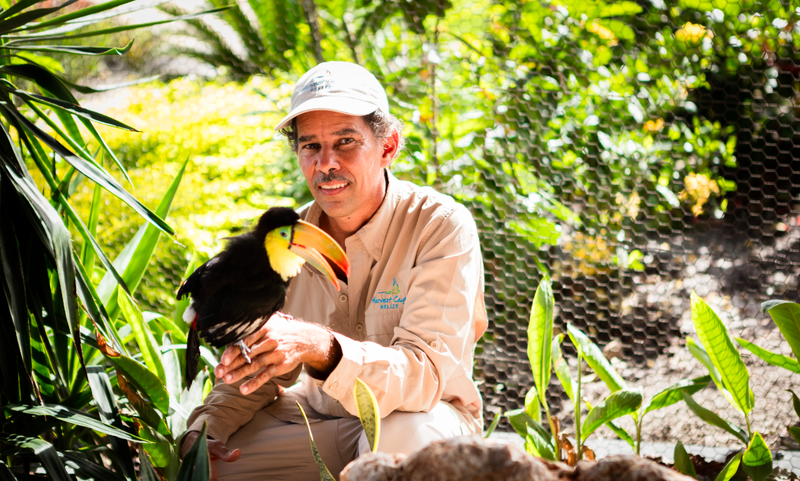 Conservation programs and education efforts have been developed by award winning author and wildlife expert Tony Garel, Harvest Caye's Chief Naturalist, who supervised a wildlife interaction program so you can actually meet and learn about local wildlife. Tony is on the island daily to lead tours of the wildlife experience.